I’m no expert on guitars in general. I love ’em and I know how to play ’em but it pretty much stops there. If you know guitars you know how hard it is to find a genuine Gibson Byrdland, especially if you are looking for a Ted-Nugent-ready Byrd. Believe it or not, Ted Nugent doesn’t generally hot-rod his Byrdlands. 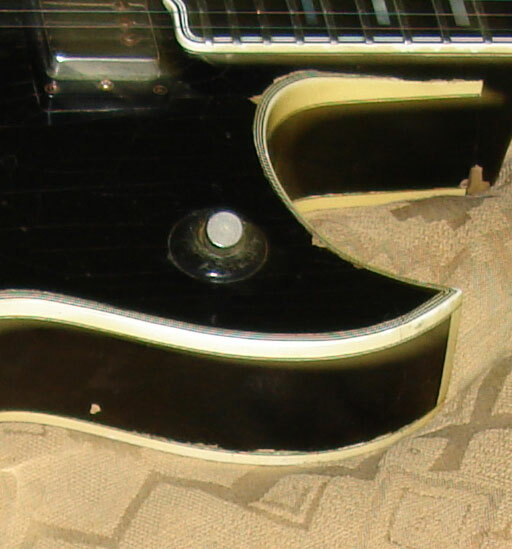 As you likely know, the Byrdland was not designed with hair raising rock-n-roll in mind. The musicians behind the guitar were Billy Byrd and Hank Garland, and they were Jazz guys. So leave it to Ted Nugent to take a Jazz guitar, plug it into a rock-n-roll rig and turn it up to 11! What is important about the Byrdlands, that is if you want a rip-roaring Ted-Nugent-ready Byrd, first off is the year it was manufactured. You really want to find one from the mid to late ’60s. One reason, according to The Nuge himself, and he may not have been 100% serious but he said, believe it or not, the wood isn’t dry enough if it doesn’t have the age. The only argument I have with that is Ted’s Byrdlands sounded pretty Damn Good in the early ’70s too! If I am not mistaken, the pickups from that period are important too. Lastly, and I don’t think it has much, if anything, to do with sound but a Ted Nugent Gibson Byrdland Guitar is ALWAYS going to have a Florentine Cutaway. The Florentine Cutaway is the sharp point rather than rounded (Venetian) style cutaway toward the upper registry. The Florentine Cutaway makes it even more difficult to find these guitars. As far as the sound goes, the bottom line is, you have to play it like Ted if you want to get that sound. If you don’t have the proficiency and Ted vibe when you’re playing a Byrdland, the guitar will play you! Ted does use heavy strings, 10s I think, or used to, and the guitar needs to be set to pure perfection, but other than that, these are usually stock guitars. Oh, one more thing that is not stock. You must take off the cheesy plastic Gibson knob on the pickup toggle switch and replace it with a Gretch strap-lock knob. That’s just a good idea for any toggle switch. 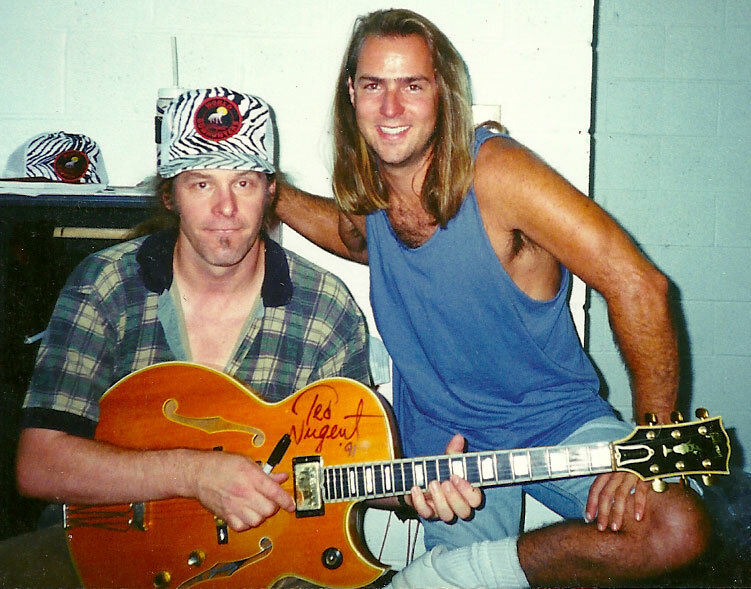 I have spent decades working on my guitar skills playing Ted Nugent’s music and I still say nobody can come close to having mastered a Byrdland the way Ted Nugent has. In fact, I will say few people ever master anything the way Ted Nugent uses the hell out of every spec that can be extracted from the Byrdland. The closer you watch him, the more masterful you realize he is with this instrument. When I was younger, I had the original Byrdland #6 that had once, and now does again, belong to Ted. I wrestled with that guitar, occasional embarrassingly on stage and at that time hated what I now finally love about the instrument. When you plug it into a hot rock-n-roll setup, it just takes off screaming and squealing. If you don’t find out how to control the psychotic mind of its own the Byrdland has, you will find it incredibly byrdensome. You have to become proficient with two major aspects of this guitar, and that is, first, volume control. If you don’t get good at using your volume control, you will have no control. The other is your location in relation to your amp and learning to control feedback. Your feedback should sound like a thriving animal, not a dying animal. Some people say there are sound differences depending on what finish you have on the guitar. I believe this to be technically true but have not played enough of the same models of one guitar to confirm this for myself. 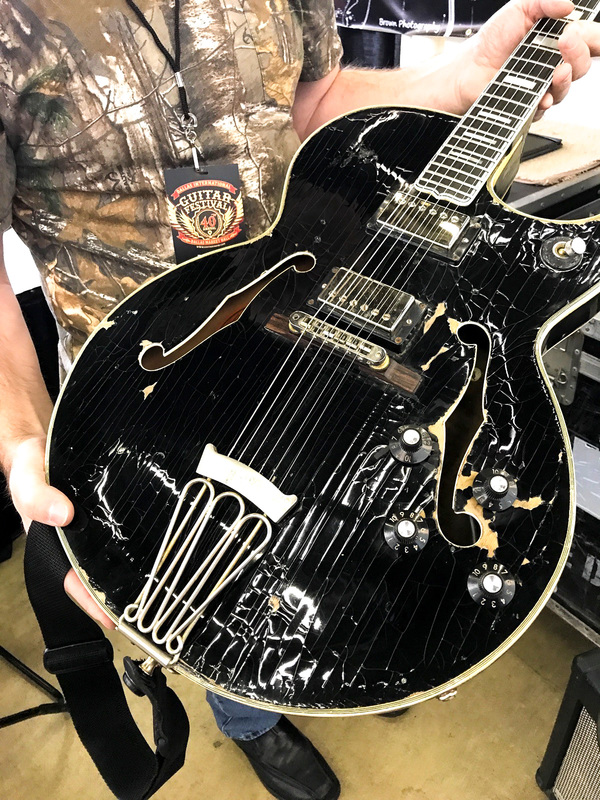 I will however tell you that Ted Nugent’s famous Black Byrdland “Blackie” for which I’ve had a number of opportunities to fondle, has a thick, curling, peeling, flaking paint on it, and Ted said, with a hint of sarcasm, that Blackie is just about broken in as far as he’s concerned. You can expect to spend an absolute minimum of $5,000 if you can find the right Byrdland these days. If it meets the criteria and is in good or excellent condition you may see a $10,000 or more. Above is a picture of me with my most recent Byrdland. This is not one that Ted Nugent ever owned. I purchased this one from Elderly Instruments. 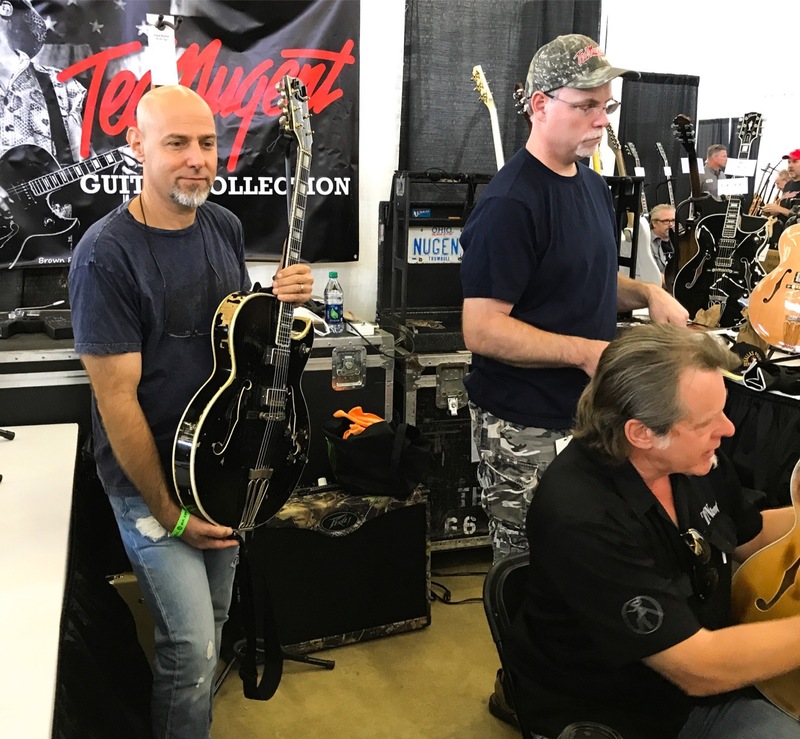 I was fortunate as Ted’s guitar man at the time checked it out online for me and then lucky again that one of the techs that set up some of Ted Nugent’s Byrlands was working at Elderly Instruments and set mine up for me. I told him to make it Ted Ready. Now that my skills have grown over many years, I love this instrument. I have many other guitars but I have had trouble putting this guitar down since I got it. You get used to the thick, rich sound that comes from a hollow body guitar, especially the Byrdland. I hate to say it, but my once favorite PRS even sounds and feels a little thin to me now. All that having been said, only a Byrdland is a Byrdland but you do not need a Byrdland to hone your skills of Nuge. Hello – really good site you have made. I enjoyed reading this posting which I found by searching on Bing. I did want to issue a remark to let you know that the design of this site is very aesthetically pleasing. I used to be a graphic designer, now I am a copy editor for a merchandising firm. I have always enjoyed playing with guitars and am trying to learn how to play guitar in my spare time (which there is never enough of lol). Thank you for the compliments. I can relate! Best of luck with the guitar. Just have a drive and don’t give up! Hi there!!! I really like your site, as I’m a huge fan of Da Nuge myself… I dream about havin’ a Byrdland, but it’s not that easy grabbing one here in Brazil. So I’m thinking about asking to a luthier to get the job done. Do you have any specs, like what kind of pickups Ted uses, o the eletric specs etc? I know different kinds of pickups were used over the years… cheers! Thanks for the note. Believe it or not, after spending time with Da Nuge and even more time with his guitar tech, Ted’s Byrds are Stock! They have to be the right year, early 60s I think, up to about 68 and of course must be a Florentine cutaway but amazingly they are stock. I was lucky enough that the one I have was set up for me by the same guy at Elderly Instruments that does Ted’s. I said just make it Ted Ready:) It came with some big 10s on it and I just had to go back to 9s or a hybrid pack. I’m a wimp. Good hearing from you! Take care.. BMS.. Previous Previous post: Some Serious ByrdTalk!